Light up your favourite moments with your family, friends or pets by preserving your photographs in this striking LED photo frame. Made with strong MDF material, this lovely photo frame is really resilient to damage, making it extremely long-lasting and durable. 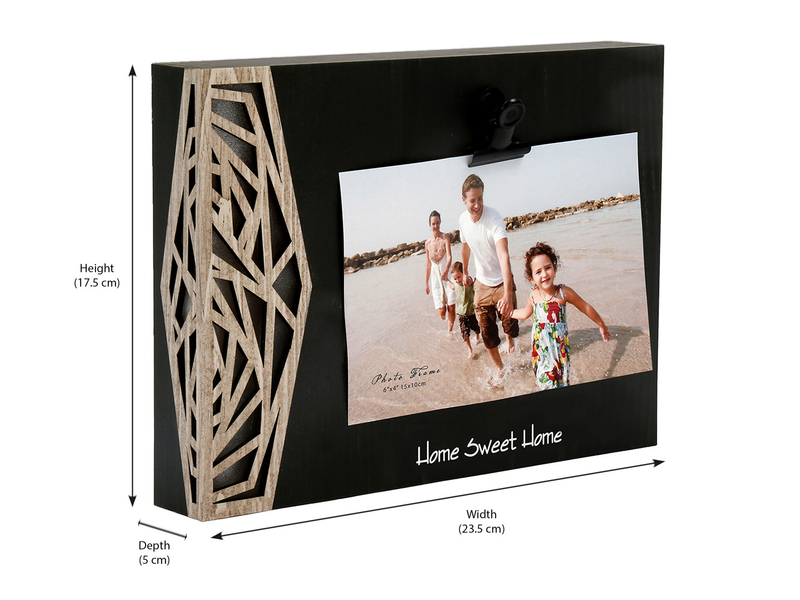 This photo frame offers a generous amount of space to display your most beloved picture. The clip is attached firmly onto the photo frame and opens and closes with ease, letting you change pictures without any hassle. There is a slot for battery at the back of the frame and you can turn the light on or off. So why use any regular, boring photo frame when you can illuminate not only your photographs but also your room with this LED light equipped photo frame. This unique photo frame will stand out beautifully when mounted on your wall. The attractive, geometric pattern on its side provides a modern touch to the frame and a flawless canvas to display your photo. We recommend keeping the lights on in the frame to fully experience its mesmerizing beauty. This product also makes a great go-to present so buy it from @home now!